Western movies were once Hollywood's biggest hits, but since the age of modern action flicks took over the westerns have taken a back seat. However, westerns are still around, just not released as often as the glory days where every year would be another western year at the box office. This list focuses on the 21st Century western movies that we have seen release into movie theatres since the release of Open Range in 2003, which is arguably one of the greatest western movies of the 2000's. Moving forward since Open Range we have seen some great western movies which have shaken contemporary audiences away from the typical action flick and into something a little different. Western movies are a welcomed delight these days, especially since they are not released all that often, and when they are we take especial pride in watching them as we aren't always that shore when the next will see the light of day. Today's western movies are something special, which is why we have decided to honour them by creating a list of the 7 best, along with 3 honourable mentions. The list is as follows. A long but worth while watching movie which managed to craft a very good story into a duration which some would deem as too long. 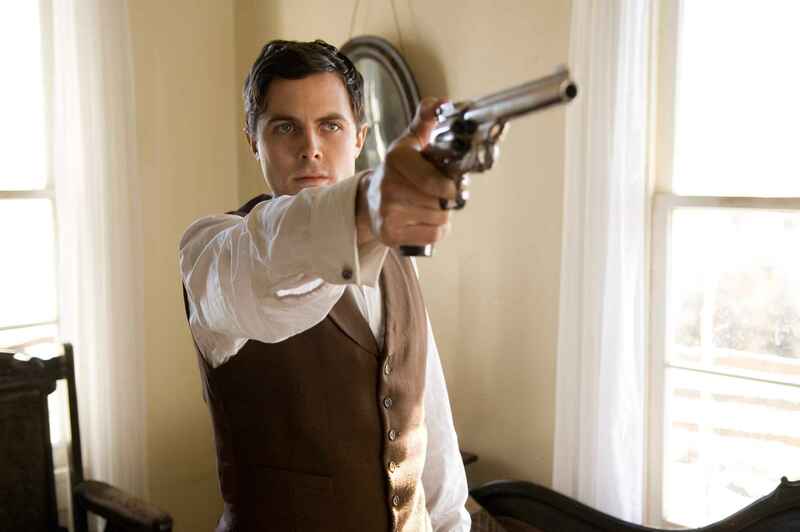 We think otherwise, as the movie was invigorating to watch with stars shining throughout with the likes of Brad Pitt and Casey Affleck, both of which taking front-line roles in the movie. The title is lengthy but certainly sums-up the entire movie, which given the highly intoxicating feel throughout the viewing makes for little surprise for how the movie concludes. It is the gripping and in-depth storyline that makes this movie such a good viewing, especially since there are a whole lot of outlaws involved, and there is nothing better to watch in a western than outlaws committing unlawful acts. Personally, when entering in to watching this movie I had no idea as to what the story for the movie was about, but what I did believe before seeing the movie was that based on the title there would be a whole lot of blood, in the form of gun slinging violence and what not. However, this was not the case, but to my surprise the whole lack of violence throughout the movie made it such an entertaining viewing with real life struggles, so powerful, mostly because of Daniel Day-Lewis's Oscar winning performance. Who knew that watching the early days of digging for oil could be so darn interesting, well we can all thank Paul Thomas Anderson for directing this stunning masterpiece and Daniel Day-Lewis for being such as darn good actor. This certainly isn't the first movie that comes to mind when thinking about western movies, but that doesn't change the fact that it is one of the greatest western movies ever produced, not just in the 21st Century but of all time. The Coen brothers never cease to amaze in Hollywood and True Grit is a perfect example of where the pair of seemingly unmatched directors have amazed audiences, including myself, into wanting to watch another western movie again and again (and I only watch good-to-great movies more than once). True Grit is a remake of a classic and this is one remake you'll want to watch, possibly more-so than the original. True Grit is a modern masterpiece which plays true to the original, is gritty as we'd all expected it to be, and had the feeling of a Coen brothers movie all throughout (again, as expected). Starring Jeff Bridges, Matt Damon and Josh Brolin, this should be a clear indicator to just how great this movie is as they have all been perfectly cast to the right roles. I would even go as far as to say that this may arguably be the greatest movie that the Coen brothers have ever directed to-date. With a storyline as powerful as this one, who better to lead the way than Jamie Foxx, who as per usual gives a breathtaking performance. Supported by Leonardo DiCaprio and Christoph Waltz this was only ever going to be a must-watch movie, subsequently entering into the hall of fame for being one of the greatest westerns ever produced. As Quentin Tarantino was directing of course there would be bloody violence throughout, but in the case of this movie it added extra extremity to a time where extremity would have been the reality of life for a lot of people. 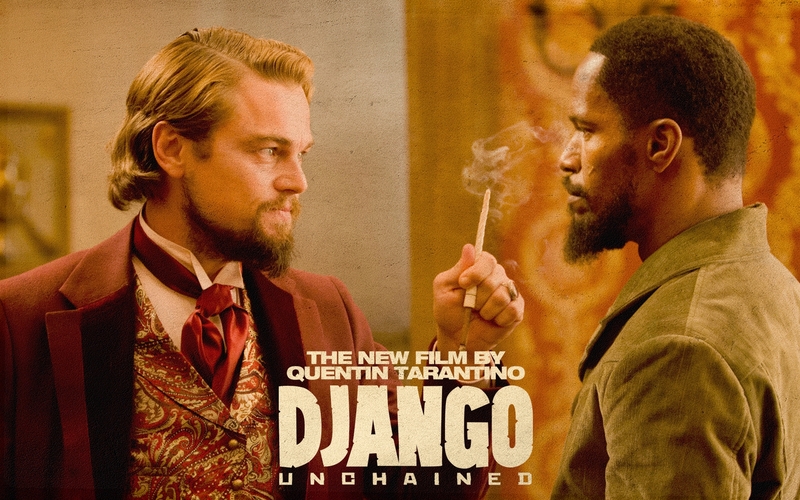 Tarantino has brought to audiences another all-time great movie which will be watched by people generations from now. It is just that great. It is the modern day time for humans in this animated feature film, however, for lizards and other desert animals it is the wild west era, and what a great movie it is. Gore Verbinski (director) has done a good job at taking a simple idea and turning it into a movie that shall long be known as the greatest animated western movie ever produced in Hollywood (or anywhere else in the world). Animated westerns, as with live-action westerns, do not come around all that often, which is why this was an interesting release to say the least, and since it was such a entertaining movie, it is given all the more credit. A modern western masterpiece remake unlike any other modern western movie out for viewing today. The action is plentiful, the shoot-outs are one hundred percent perfection, and the outlaws are hunting down the law-keepers to find their gang leader. This is a tense, action-filled western remake which ticks all of the right boxes for what you'd be looking for in a modern western movie. The movie is well-directed, has some of the best acting performances from some of Hollywood's biggest stars, and the movie flows near harmoniously. I would even go as far as to say that this movie receives one of the best performances of both Christian Bale and Russell Crowe's careers, which is saying something considering the amount of great movies that the two actors regularly star in. The star of the list is another Coen brothers movie, this one a modern western movie which has all of the elements which create a suspenseful thriller that would go down as being one of the greatest thrillers of all time, on top of being one of the greatest westerns of all time. The Coen brothers have a nag for directing great westerns from the appearance of things, not to mention the fact that the Coen brothers are well-known for directing timeless thrillers, adding to the pleasure of this movies release. Audiences will have gone nuts in the cinemas when watching this movie as it had all of the relevant surprises required, mostly due to Javier Bardem's realistic portrayal as an emotionless hitman, and this performance has shot him into stardom in Hollywood. The 2000's were blessed with great movies and the 21st Century as a whole has seen some timeless western movie releases which will be watched for a long time to come. No Country for Old Men has one of the most thought provoking titles which were truthful if this movie is anything to go by, and it certainly got audiences wondering more about the endless possibilities for western movies as modern technology allows film-makers to create more realistic movies. One thing is for sure, which is that the Coen brothers are maturing as directors, getting better and better with every new project they partake in. We were hesitant to make this a short list so that we could emphasise the magnitude that these great westerns had in influencing the genre that sees very few releases today. But to include a few honourable mentions to the list, here are some of the other movies that came to mind when brainstorming for the list. A western both directed by and starring Tommy Lee Jones, one of the best recognised faces in Hollywood, and this movie is one of the lesser-known western releases from the 2000's, but no-less worth mentioning in our honourable mentions than the other two. The audience goes on a journey about friendship and the power of loss, which are well expressed through the acting performances in this memorable western movie. 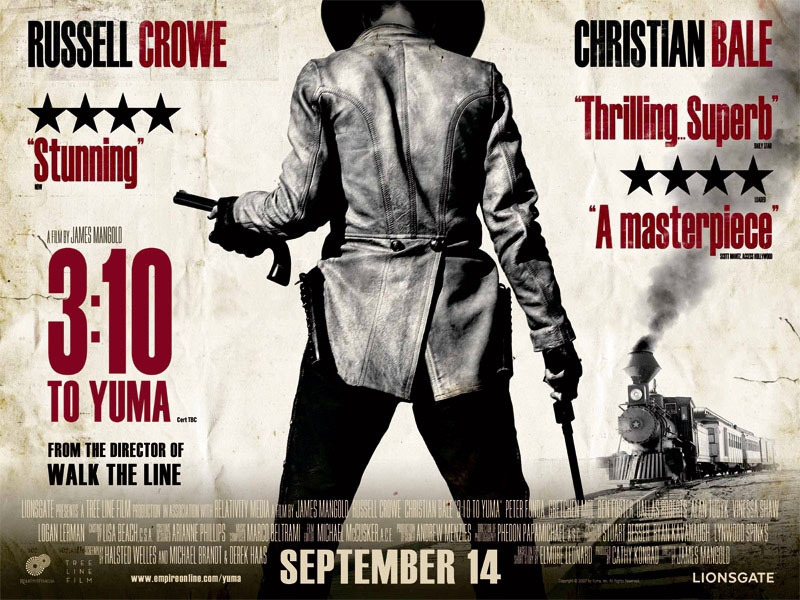 Another lesser-known western movie from the 2000's which had audiences looking for more in a movie which received some brilliant performances from a recognisable cast of actors. The landscape alone is something magical, along with performances that stick with you even once the movie is long over. Firstly, it needs to be stated that Ned Kelly is not technically a western movie as it is set in 19th Century Australia, however, it does feel an awful lot like a western movie, so we have made the calculated decision to add it to our honourable mentions. The movie is one of a controversial one to add to our list (dismissing the fact that technicality would put the movie out of the western genre) because it was not well received by all audience members. However, we would argue that the movie was a fun one which deserves recognition as it was well directed, with some great acting performances and had an entertaining story which we were surprised to see rated so poorly by audiences who've viewed the movie.